According to the U.S. News Best Countries 2017 ranking, Canada is ranked first for quality of life. The rankings were measured based on the economic stability, job market, affordability, safety, politically stability, family friendly, public education and public health system development and income equality. Canada does not only rank first for quality of life but also rank second best country overall according to the U.S. News Best Countries Rankings. It took second place after Switzerland and followed by the United Kingdom, Germany, and Japan. The survey evaluated 80 countries in a variety of categories including cultural influence, citizenship, economic, quality of life, political influence, government transparency, and education. Lists of the top 10 best countries in the world, according to U.S. News & World Report. Studying abroad does not only help students gain international knowledge and experience but also help them prepare for the challenges that they have never had encountered before. Studying abroad helps students develop a personal growth mindset. It allows them to experience the cultural differences, explore their interests and freedom. Minsky, C. (2016, August 31). Best destinations to study abroad, chosen by parents. The World University Rankings. Retrieved from https://www.timeshighereducation.com/student/news/best-destinations-study-abroad-chosen-parents. Tencer, D. (2016, August 12). If Reputation Were An Olympic Event, Canada Would Own The Podium. TheHuffingtonPost.com, Inc. Retrieved from http://www.huffingtonpost.ca/2016/08/12/countries-with-the-best-reputation_n_11475640.html? Chiose, S. (2017, May 14). Canadian universities see surge of international students. The Globe and Mail. Retrieved from http://www.theglobeandmail.com/news/national/education/international-admissions-to-canadian-universities-see-significant-increase/article34984977/. Smith, B. (2016, December 5). 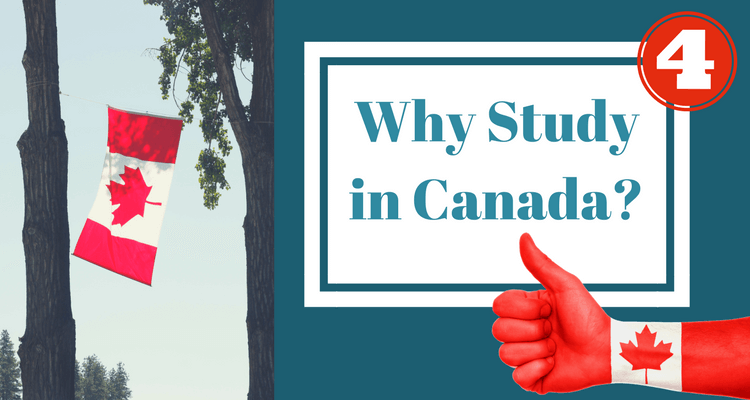 International students praise Canada’s openness and affordable fees. The Pie News. Retrieved from https://thepienews.com/news/international-students-praise-canadas-openness-affordable-fees/.